Boels-Dolmans has announced the signing of Jolien D'Hoore. The Belgian sprinter moves to the Dutch team after spending one year at Mitchelton-Scott. D'Hoore is one of the most prominent names in the current peloton with her abilities for the sprints. 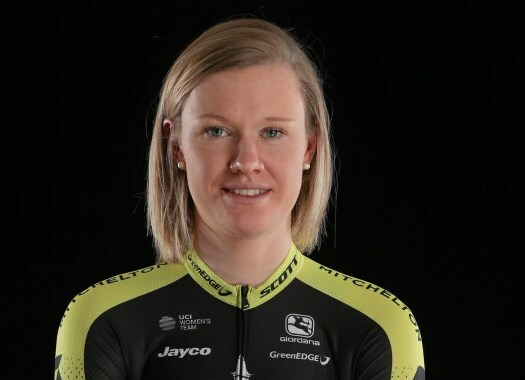 In her career she has achieved victories in races like the Madrid Challenge by La Vuelta, the Flanders Diamond Tour, the Tour of Chongming Island, the Boels Rental Ronde van Drenthe and three stages at the Giro Rosa. "I like the overall vision of this team, it totally fits my ideas," said the rider at a press conference of Boels-Dolmans in Antwerp, Belgium. "Danny Stam (Boels-Dolmans' team manager) first contacted me and after meeting with him, I felt that there was mutual trust and I appreciate the professionality with which the team works. "For a while now, Boels-Dolmans has been the number one team in women’s cycling, home to so many champions. I feel honoured that I will be part of the team next year. I think we can ride for the win in any race in 2019 and of course, I hope to be able to contribute to those wins. I’m massively looking forward to riding the Spring Classics with this strong team!" The Belgian will combine road and track cycling just like her future teammates Amy Pieters and Amalie Dideriksen. "I feel good combining both disciplines," D'Hoore commented. "The Madison is the main event I focus on in track cycling. The next two years, therefore, will be all about qualifying for Tokyo 2020 on the Madison. It means I’ll ride several World Cup races, followed by full road seasons."